How to manage your QAP files in JuanTax? QAP files, or also known as Quarterly Alphabetical List of Payees is a file which contains all the names of payees included both in your 1601-EQ/1601-FQ report. To obtain this report, you first need to have a generated 1601-EQ or 1601-FQ within JuanTax, then enter its filing section to access the QAP menus. 2. In the Filing Type section, you would see some options on how you could manage your QAP file. You can either send the DAT file, or just simply download the file. To download the QAP, just click the Download QAP button. 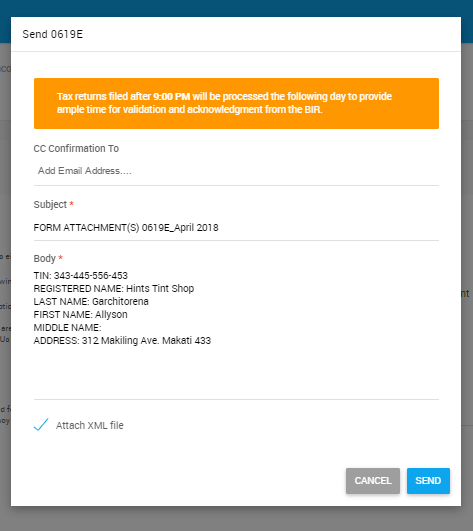 Once you've marked the return as "Filed", you'll also have the ability to send the QAP file to the BIR, and be able to send this to another user. Enter the email address of your recipient before clicking Send. 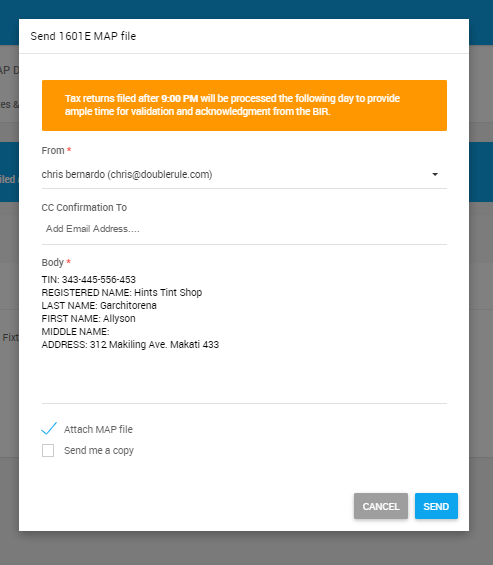 Hitting the button would also allow you to directly send the DAT file to the BIR.